Citation: Chhabra S, Gangane N. Screening, Diagnosis and Therapy of Endometrial Carcinoma, A Look at Controversies. J Cancer Epidemiol Prev. 2017, 2:1. Introduction: Despite a long history of disease and great efforts in research, there is no practical and accurate system to know true precancerous lesions, so there is a limitation to prevention of endometrial cancer. Screening is controversial. Diagnosis is possible only after curettage and histopathology. Therapy is varied. Objectives: To get information related to screening, diagnosis and therapy of endometrial carcinoma. Methodology: Literature search was done with a range of search engines, pubmed, database, google and other databases to get information relevant to the objectives and personal experience was added. Concomitant underlying EC with endometrial hyperplasia is known and also EH has the potential for development of EC. EC, with maximum incidence in postmenopausal women of 61-70 years of age (53.22%), tends to be the most common genital tract cancer, in the developed countries [1,2]. Incidence in increasing in developing countries too, though it seems to be at third place after cervical and ovarian cancer in many regions. Abnormal uterine bleeding pre-, peri-or postmenopausal, the first and most common symptom of EC imposes a complex plan, involving clinical examination, various investigations and pathological examination for accurate diagnosis and management. Risk factors: Increasing body mass index (BMI), nulliparity, and irregular menstrual cycles are associated with an increased risk of uterine cancer  The mechanism behind many of these risk factors is thought to be excessive estrogen leading to unopposed endometrial stimulation. Women who are on tamoxifen are at risk . It has been reported that obesity increases risk of EC up to 10-fold . Thomas et al. found an almost 22-fold increase in risk in women with BMIs >=35.0 who were younger than 45 years at last menstrual period versus an almost 4-fold increase in women with BMIs >=35.0 and who were older than 45 years than their respective counterparts with normal BMIs, suggesting that not only obesity, but also age at menopause are important risk factors. Other risk factors include diabetes and hypertension, although these diseases may be proxies for obesity. Some data suggest that diabetes is an independent risk factor in the development of endometrial carcinoma even after controlling for obesity, pointing perhaps to inflammation as an exacerbating factor . Families with hereditary nonpolyposis colon cancer are at risk . Screening and diagnosis: As per the consensus among experts, periodic health examinations, screening for EC by any tool are not recommended because there is no scientific evidence to support benefit of such examinations in menopausal and postmenopausal women who have no identified risk factors [4,7]. Also in asymptomatic, postmenopausal women the incidence of EC is low, estimated to be around 1.7 cases per 1000 women per year, and the low prevalence, in the order of 1 per 1000 women . Most of the times cellular samples are obtained either by brushing or by aspirating the superficial endometrial lining. Endometrial cytology may be highly accurate in distinguishing cancer cells from normal or with hyperplasia without atypia. One study of endometrial cytology with use of plastic brush yielded 79% sensitivity, 95.4% specificity, and 80.5% negative predictive value [9,10]. It has been generally accepted that the best yield is possible with tests that directly sample the endometrial lining. Studies related to finding of malignant or suspicious endometrial cells detected by cervical cytology by several researchers Zucker, Yancey and Eddy [10-12] revealed that preoperative malignant cells in cervical cytology in cases of EC correlated with a higher surgical–pathologic stage or extrauterine metastases and could be used to plan management [13-15]. The main drawbacks of cervical cytology for diagnosing EC were, that it detected mainly advanced EC and had a high false-negative rate (upto 80%) in postmenopausal, asymptomatic women with EC . Cherkis and Kim [17,18] have also reported the role of cervical cytology in EC. Diagnosis of EC by cervical cytology depends on exfoliation of tumour cells in cervical area or involvement of endocervical region. If the smear contains normal endometrial cells, the patient may either have a normal or a hyperplastic uterine lining. Further Armstrong et al. reported that interpretation was difficult because of the complexity of endometrial gland cell morphology. At present, various methods used for diagnosing and staging the EC include- cervical/vaginal cytology, endometrial cytology, endometrial biopsy, transvaginal ultrasonography (TVS) histopathology, immunohistochemistry magnetic resonance imaging (MRI), hysteroscopy, and dilatation and curettage (D&C). Tabor et al. reported that EC may be missed by D&C, with a false negative rate ranging from 2% to 11% that the reliability of pre-hysterectomy curettings depended upon the endometrial thickness  and degree of tumour . Accuracy of tumour typing depended upon the actual type of tumour. Sensitivity reported in one study was 46.64% . The sensitivity for detecting carcinoma with four site biopsy was 88% in a Japanese study . There were problems in patients with thin endometrial echo on TVS with less likely yield of enough tissue to provide an adequate sample for diagnosis . Many investigators have reported that D&C lacked accuracy and reliability compared with other diagnostic methods. If endometrial thickness (ET) on TVS was ≥ 7.0 mm. then D&C under general anaesthesia was considered superior to outpatient Pipelle endometrial sampling by Epstein . D&C should not be conducted as a stand-alone procedure in modern era. Schmidt et al. recommended hysteroscopy before D&C to increase diagnostic efficacy Schmidt et al. and Van Hanegem et al. advocated that D&C should always be combined with hysteroscopy for accurate test results in cases of focal pathology . However there have been increasing number of reports of abdominal dissemination of malignancy via fallopian tube during hysteroscopy [29,30]. May be because of this, others suggested that TVS combined with biopsy were the best diagnostic tools to evaluate EC [25,31]. The ET on TVS and endometrial morphology in post and peri-menopausal women are the cornerstone in current clinical practice. The thickness of the endometrium can be measured with precision because the endometrio-myometrial junction has a distinct halo-like appearance. TVS is highly sensitive but also has high false-positive rates (low specificity) for identifying EC. Bourne et al. reported that TVS, with or without colour flow imaging, and blood flow analysis could be used to detect EC in women with postmenopausal bleeding and also a screening procedure for asymptomatic women must allow for changes in uterine blood flow during oestrogen replacement therapy (ERT). TVS can also be used to assess myometrial invasion and cervical involvement with a greater than 90% negative predictive [33-36]. Studies revealed that specificity may be improved without jeopardizing sensitivity rates if the cut-off values for ET were based on length of time since menopause [37-39]. When the ET was 4 mm for women less than 5 years since menopause and 3 mm for women more than 5 years since menopause, TVS had a sensitivity of 97.4%, specificity of 75.7%, and 99.7% negative predictive value. In the USA, the recommended lower limit of finding EC was 4 or 5 mm, and at 3 mm it was not necessary to perform endometrial biopsy . Postmenopausal women with an endometrial lining of <4 mm thick were reported to have less than <1% chance of malignancy [40-42]. Jacob  reported that when the ET was <4 mm and endometrial biopsy retrieved insufficient tissue for diagnosis, no additional diagnostic tests were required. However Saatli et al. reported that in a symptomless postmenopausal woman, if the ET was ≤ 11 mm, the risk of EC was low, and endometrial biopsy was not necessary. Tabor et al. reported that ET measurement in symptomatic women (postmenopausal bleeding) did not reduce the need for invasive diagnostic testing because 4% of EC’s would still be missed (false-negative rate), with a falsepositive rate as high as 50%. They did not recommend TVS prior to invasive testing in the setting of evaluation of PMB . Also type 2 EC cases may not have thick endometrium. Wang et al, reported that only 65% of their patients of Type 2 EC had a thickened endometrial echo-complex. Seventeen percent of patients had an endometrial echo-complex measuring <5 mm and another 17% had an indistinct endometrial lining. Thus, researchers concluded that a thin endometrial echo complex on ultrasound did not reliably exclude Type 2 EC’s . Its role in the primary diagnosis of EC and its precursors remained to be determined. A preoperative pelvic MRI could contribute to accurate staging, allowing planning for the extent of surgery and preoperative counselling, especially when fertility sparing surgery was contemplated [46-48]. Dynamic contrast-enhanced MRI improved the accuracy of the assessment of the depth of myometrial invasion. EC enhanced less than normal myometrium after administration of intravenous gadolinium . In the assessment of myometrial invasion dynamic contrast-enhanced MRI had a pooled sensitivity and specificity of 81% and 72%, respectively, and T2-weighted imaging had a pooled sensitivity and specificity of 87% and 58%, respectively. Wu et al. and Lai et al. reported that MRI illustrated excellent performance not only in the early detection of EC but, differential diagnosis, staging with clarification if the neoplasm was limited to endometrium or invaded myometrium, extent of invasion, vaginal involvement (direct extension or metastasis), invasion to bowel, other distant metastasis, prognosis, response to evaluation, surveillance, management of recurrence. MRI’s ability to diagnose adnexal direct extension or metastasis to bladder mucosa is yet unknown. Therapy for endometrial cancer: Prevention is the best management, but if there are limitations to prevention, it should be early diagnosis and therapy. The choice of surgical or hormonal therapy or radiotherapy with or without chemotherapy depended on the stage, histopathologic diagnosis, the reproductive status of the woman, whether she was on ERT, and her general health. Surgical therapy: Surgery is the therapy of choice for patients with noninvasive disease. Some authors suggested, that patients with stage 1A and grade 1 or 2 were unlikely to have lymph node involvement, and systematic lymphadenectomy was not indicated in these patients [51-53]. In patients with disease limited to the corpus with acceptable surgical risk, intrauterine preoperative radiation used to be followed by total abdominal hysterectomy and bilateral salpingo-oophorectomy. For surgically poor patients, radiation therapy followed by vaginal hysterectomy for residual disease was the mainstay of treatment decades back . In patients of cervical involvement and acceptable surgical risk preoperative radiation was followed by Wertheim- Meig’s hysterectomy and in patients with poor surgical risk, radiation alone used to be given. In the 80’s the surgical protocol remained the same however the radiation was given postoperatively, for early stages vaginal radiotherapy and for later whole abdomen radiotherapy. Although most women diagnosed with EC presented with early-stage disease confined to the uterus, metastatic disease was identified in a significant number when comprehensive staging was performed  and still some cases do report with advanced disease. The International Federation of Gynaecologists and Obstetricians (FIGO 1988) formally recommended surgical staging as part of the initial treatment for EC. Traditionally, surgical staging for EC has been accomplished with open laparotomy. Staging (pretherapeutic and postsurgical), using both classification systems (TNM and FIGO), have been reported to be the most important thing in the therapeutic decision . Even with revisions of the staging system in 2009, total hysterectomy, bilateral salpingo-oophorectomy, and bilateral pelvic and para-aortic lymph node dissection continued to be recommended. Throughout. Laparoscopy was associated with fewer moderate-to-severe postoperative adverse events than laparotomy (14% vs 21%) and similar rates of intraoperative complications. Although operative time was longer for laparoscopy, hospitalization of more than 2 days was significantly lower compared to laparotomy (52% vs 94%; P<0.0001). Patients who had undergone laparoscopy reported higher scores on several quality-of-life measures over the 6- weeks recovery period compared to laparotomy . However meta-analysis of survival data from three randomized trials did not detect a survival difference between surgical approaches . It seems the route should also depend on the skill of the surgeon. Further in approximately 10% to 15% of all new cases of EC, disease was found outside the uterus. These cases accounted for more than 50% of all uterine cancer-related deaths, with survival rates as low as 5% to 15% . Surgery is the therapy of choice for patients with non-invasive disease. Patients with stage I disease are treated with hysterectomy and bilateral salpingo-oophorectomy. The addition of lymphadenectomy is controversial. The treatment paradigm for advanced FIGO stage III and IV EC has shifted to a multimodality approach, surgery, chemotherapy, and radiation, with cytoreduction being the most crucial aspect. Multiple retrospective studies have addressed the advantages of optimal cytoreductive surgery in patients with stage III and IV EC. Each study demonstrated a significant progression-free and overall survival advantage when optimal cytoreduction was achieved Lambrou et al. , Shih  reported advantages of cytoreduction of large volume disease, were improved performance status, decreased hypermetabolic tumour burden, improved vascular perfusion and drug delivery after resection of devitalized tissue, and decreased tumour volume and concomitant mutation potential which could lead to drug resistance. All cited studies reported cytoreduction as an independent prognostic factor for overall survival. For those patients in whom the tumour was determined to be unresectable, the median survival was 2 to 8 months, regardless of further treatment with radiation and/or chemotherapy . The choice is between two surgical procedures, total hysterectomy with adnexectomy and bilateral pelvic lymphadenectomy, and total lymphadenocolpohysterectomy with bilateral adnexectomy . Panici et al. in a randomized trial of over 500 patients with stage I EC reported no difference in disease-free survival (80% vs. 82%) or overall survival (90% vs. 86%) between the lymphadenectomy and no lymphadenectomy groups . Bristow et al. in retrospective study of 40 patients with stage IIIC EC showed a significant disease-specific survival benefit of 37.5 months versus 8.8 months (P=0.006) from debulking macroscopic adenopathy with node-positive, advanced disease . According to NCCN Guidelines recommendations, guided by the tumoral type, grading, stage and recurrence rate . Adjuvant and neoadjuvant therapy have specific indications, EC has a good therapeutic response and a 5-year survival rate of over 50%, even for tumours of stage III B has been reported, if the diagnosis was established and the treatment was immediately initiated . Despite the potential for either synchronous or metachronous ovarian disease, several reports have examined the safety of ovarian preservation at the time of hysterectomy in young women with endometrial carcinoma. By and large, these studies have suggested that ovarian preservation is safe . While fertility-sparing treatment is effective, close followup is necessary even in women with a complete response given the high rate of recurrence . The largest of the studies, an analysis of the Surveillance, Epidemiology, and End Results database by Wright et al. found no excess deaths with ovarian preservation, concluding that in a patient with low-grade, early stage cancer with no evidence of ovarian involvement, risk of recurrence is not increased and survival is not affected by ovarian preservation. Ovarian conservation should be individualized. Conservative management: Alonso  after review of literature concluded that fertility preserving treatment was feasible in young patients with stage 1A low grade progesterone receptor positive endometrioid tumours with no metastatic involvement or risk factors. Surgical: Conservative hysterescopic, resectoscopic treatment is done, using a three-step technique in which each step is characterized by a pathologic analysis, the removal of the tumor, the removal of the endometrium adjacent to the tumor, and the removal of the myometrium underlying the tumor [70,71]. Medical: Conservative management in young women is possible when the EC is limited to endometrium. Most widely described therapy is based on progestagenic hormone. In conservative therapy a large clinical trial of Medroxy Progesterone Acetate (MPA), the response rate was 37% for grade 1.23% for grade 2 and 9% for grade 3 tumours . Patients with hormone receptor positive disease have also been shown to have a higher chance of responding to harmone therapy. In a randomised trial, the response rate observed with ER and PR positive disease was around 25% and 37%, respectively, but was only 7–8 % in patients with ER/PR negative disease . Based on these results, it seemed that positivity of ER and/or PR could be a predictive factor of response to endocrine therapy and so should be determined before initiating hormonal therapy. Serous and clear cell carcinoma tended to be negative, with antibodies directed toward ER and PR . Progestin therapy for treatment of EC was proposed as early as the 1960s but in general was limited to women who were not operative candidates [75,76]. There has been a growing trend to attempt medical therapy in young, well-selected patients in an effort to preserve fertility. In a systematic review that included 81 patients treated from 1966 to 2003, Ramirez et al. noted that approximately 60% of patients had a sustained complete response to hormonal therapy, with a median duration of treatment of 24 weeks. Of note, 23% of the women did not respond and a further 19% of patients who initially responded to progestin therapy recurred. Although no randomized controlled trials have been conducted comparing hormonal therapy to definitive surgical therapy, Ushijima et al. conducted a prospective phase II trial looking at pathologic complete response of women younger than 40 years diagnosed with either stage IA endometrial cancer or atypical hyperplasia. Patients were treated with oral medroxyprogesterone acetate for up to 26 weeks with periodic pathologic surveillance. Overall, the complete response rate was 67%. However, of the patients who achieved a complete response, 47% of them had a recurrence. There are numerous case reports and small series involving women with EC and subsequent pregnancies after conservative treatment. Most women were treated with high-dose progestins and when pathologic remission was documented, pregnancy was attempted. In general, pregnancy rates are excellent (between 70% to 80%) and correlate to patients' age rather than the diagnosis or primary treatment . Young women with EC face unique challenges including loss of fertility and premature menopause. Recent advances give young patients with EC more treatment options and the hope of a normal life and reproductive function despite their diagnosis. Prognosis: While extrauterine spread is a poor prognostic factor in EC and tumour grading a in dependant prognostic factors, the clinical significance of malignant cells identified by cytology of peritoneal washings is unclear. Some studies have suggested that positive cytology had no association with survival [77-79]. Others reported worse outcomes for patients with positive cytology, even when controlling for other prognostic factors . Whether or not peritoneal cytology was an independent prognostic factor has been debated, but cytology has been removed from the staging system . EC, common genital tract cancer is surrounded by controversies in screening and therapy. Prognosis is good even beyond early disease. Conservative therapy is only possible in early disease. A lot of more research is needed about prevention, various associations and best therapy. Olson JS (1989) The history of cancer: An Annotated Bibliography. Varughese J, Richman S (2010) Cancer care inequity for women in resource-poor countries. Reviews in Obstetrics and Gynecology 3: 122. Soliman PT, Oh JC, Schmeler KM (2005) Risk factors for young premenopausal women with endometrial cancer ObstetGynecol 105: 575–580. Robertson G (2003) Screening for endometrial cancer. Med J Aust 178: 657-659. Thomas CC, Wingo PA, Dolan MS (2009) Endometrial cancer risk among younger, overweight women ObstetGynecol 114: 22–27. Smith RA, Von Eschenbach AC, Wender R, Levin B, Byers T, et al (2001) American Cancer Society guidelines for the early detection of cancer: update of early detection guidelines for prostate, colorectal, and endometrial cancers: Also: update 2001—testing for early lung cancer detection. A Cancer Journal for clinicians 51: 38-75. Archer DF, McIntyre SK, Wilborn Jr WW, Dowling EA, Cone F, et al (1991) Endometrial morphology in asymptomatic postmenopausal women. Am J of Obstet and Gynecol 165: 317-322. Silverberg SG (2000) Problems in the differential diagnosis of endometrial hyperplasia and carcinoma. Modern Pathology 13: 309-327. Zucker PK, Kasdon EJ, Feldstein ML (1985) The validity of Pap smear parameters as predictors of endometrial pathology in menopausal women. Cancer 56: 2256-2263. Yancey M, Magelssen D, Demaurez A, Lee RB (1990) Classification of endometrial cells on cervical cytology. Obstetrics & Gynecology 76: 1000-1005. Eddy GL, Wojtowycz MA, Piraino PS, Mazur MT (1997) Papanicolaou smears by the Bethesda system in endometrial malignancy: utility and prognostic importance. Obstetrics & Gynecology 90: 999-1003. Larson DM, Johnson KK, Reyes CN, Broste SK (1994) Prognostic significance of malignant cervical cytology in patients with endometrial cancer. Obstetrics & Gynecology 84: 399-403. Roelofsen T, Geels YP, Pijnenborg JM, van Ham MA, Zomer SF, et al. (2013) Cervical cytology in serous and endometrioid endometrial cancer. International Journal of Gynecol Pathology 32: 390-398. Guy MS, Cheng G, Post MD, Spillman MA, Behbakht K, et al. (2014) Outcomes of women with atypical glandular cells on preoperative cytology and endometrial cancer. International J of Gynecol Cancer 24: 266-271. Nguyen TN, Bourdeau JL, Ferenczy A, Franco EL (1998) Clinical significance of histiocytes in the detection of endometrial adenocarcinoma and hyperplasia. Diagnostic cytopathology 19: 89-93. Cherkis RC, Patten SF, Dickinson JC, Dekanich AS (1987) Significance of atypical endometrial cells detected by cervical cytology. Obstetrics & Gynecology 69: 786-789. Kim HS, Underwood D (1991) Adenocarcinomas in the cervicovaginalpapanicolaou smear: Analysis of a 12-year experience. Diagnostic Cytopathology 7: 119-124. Armstrong AJ, Hurd WW, Elguero S, Barker NM, Zanotti KM (2012) Diagnosis and management of endometrial hyperplasia. Journal of Minimally Invasive Gynecology. 19:562-571. Tabor A, Watt HC, Wald NJ (2002) Endometrial thickness as a test for endometrial cancer in women with postmenopausal vaginal bleeding. Obstetrics & Gynecology 99: 663-670. Goldstein SR (2009) The role of transvaginal ultrasound or endometrial biopsy in the evaluation of the menopausal endometrium. Am J of obstet and gynecol 201: 5-11. Qu Y, Wang L, Zhu H (2000) Value of fractional curettage of prehysterectomy in endometrial neoplasms. Zhonghuafuchankezazhi 35: 267-269. Lampe B, Kürzl R, Hantschmann P (1995) Reliability of tumor typing of endometrial carcinoma in prehysterectomy curettage. International Journal of Gynecologic Pathology 14: 2-6. Kondo E, Tabata T, Koduka Y, Nishiura K, Tanida K, et al. (2008) What is the best method of detecting endometrial cancer in outpatients?-endometrial sampling, suction curettage, endometrial cytology. Cytopathology 19: 28-33. Dijkhuizen F, Mol BW, Brölmann HA, Heintz APM (2000) The accuracy of endometrial sampling in the diagnosis of patients with endometrial carcinoma and hyperplasia. Cancer 89: 1765-1772. Epstein E, Ramirez A, Skoog L, Valentin L (2001) Transvaginal sonography, saline contrast sonohysterography and hysteroscopy for the investigation of women with postmenopausal bleeding and endometrium> 5 mm. Ultrasound in Obstetrics and Gynecology 18: 157-162. Schmidt T, Breidenbach M, Nawroth F, Mallmann P, Beyer IM, et al. (2009) Hysteroscopy for asymptomatic postmenopausal women with sonographically thickened endometrium. Maturitas 62: 176-178. Van Hanegem N, Breijer M, Khan K, Clark T, Burger M, et al. (2011) Diagnostic evaluation of the endometrium in postmenopausal bleeding: an evidence-based approach. Maturitas 68: 155-164. Schmitz M, Nahhas W (1993) Hysteroscopy may transport malignant cells into the peritoneal cavity. Case report. European Journal of Gynaecological Oncology 15: 121-124. Rose PG, Mendelsohn G, Kornbluth I (1998) Hysteroscopic dissemination of endometrial carcinoma. Gynecologic Oncology 71: 145-146. Kotdawala P, Kotdawala S, Nagar N (2013) Evaluation of endometrium in peri-menopausal abnormal uterine bleeding. Journal of mid-life health 4: 16. Weber G, Merz E, Bahlmann F, Mitze M, Weikel W, et al. (1995) Assessment of myometrial infiltration and preoperative staging by transvaginal ultrasound in patients with endometrial carcinoma. Ultrasound in Obstet&Gynecol 6: 362-367. Gabrielli S, Marabini A, Bevini M, Linsalata I, Falco P, et al. (1996) Transvaginal sonography vs. hysteroscopy in the preoperative staging of endometrial carcinoma. Ultrasound in Obstet&Gynecol 7: 443-446. Toki T, Oka K, Nakayama K, Oguchi O, Fujii S (1998) A comparative study of pre-operative procedures to assess cervical invasion by endometrial carcinoma. BJOG: An International J of Obstet&Gynaecol 105: 512-516. Patel S, Liyanage SH, Sahdev A, Rockall AG, Reznek RH (2010) Imaging of endometrial and cervical cancer. Insights imaging 1: 309-328. Gu C, He F, Xiang H (1994) Differential diagnosis of endometrial abnormality by transvaginal sonography]. Zhonghuafuchankezazhi 29: 720-723. Tsuda H, Kawabata M, Yamamoto K, Inoue T, Umesaki N (1997) Prospective study to compare endometrial cytology and transvaginal ultrasonography for identification of endometrial malignancies. Gynecologic oncology 65:383-386. Abu GY, Shakoury WA, Barqawi R (1999) Comparative study of transvaginal hysterosonography and biopsy for the evaluation of post-menopausal bleeding. Annals of Saudi medicine 19: 116-119. Robertson G (2003) Screening for endometrial cancer. The Medical journal of Australia 178: 657-659. ACOG Committeopinoin (2009) The role of transvaginal ultrasonography in the evaluation of postmenopausal bleeding. Obstetrics and gynecology 114: 409-411. Jacobs I, Gentry MA, Burnell M, Manchanda R, Singh N, et al (2011) Sensitivity of transvaginal ultrasound screening for endometrial cancer in postmenopausal women: a case-control study within the UKCTOCS cohort. The lancet oncology 12: 38-48. Saatli B, Yildirim N, Olgan S, Koyuncuoglu M, Emekci O, et al. (2014) The role of endometrial thickness for detecting endometrial pathologies in asymptomatic postmenopausal women. Australian and New Zealand J of Obstet and Gynaecol 54: 36-40. Wang J, Wieslander C, Hansen G, Cass I, Vasilev S, et al. (2006) Thin endometrial echo complex on ultrasound does not reliably exclude type 2 endometrial cancers. Gynecologic oncology 101: 120-125. Hwang JH, Lee NW, Lee KW, Lee JK (2009) Magnetic resonance imaging for assessment of deep endometrial invasion for patients with endometrial carcinoma. Australian and New Zealand J of Obstet and Gynaecol 49: 537-541. Harry VN, Deans H, Ramage E, Parkin DE, Gilbert FJ (2009) Magnetic resonance imaging in gynecological oncology. International J of Gynecol Cancer 19: 186-193. Wu WJ, Yu MS, Su HY, Lin KS, Lu KL, et al. (2013) The accuracy of magnetic resonance imaging for preoperative deep myometrium assessment in endometrial cancer. Taiwanese J of Obstet and Gynecol 52: 210-214. Freeman SJ, Aly AM, Kataoka MY, Addley HC, Reinhold C, et al. (2012) The revised FIGO staging system for uterine malignancies: implications for MR imaging Radiographics 32: 1805-1827. Lai CH, Lin G, Yen TC, Liu FY (2014) Molecular imaging in the management of gynecologic malignancies. Gynecologic oncology 135: 156-162. Morrow CP, Bundy BN, Kurman RJ, Creasman WT, Heller P, et al. (1991) Relationship between surgical-pathological risk factors and outcome in clinical stage I and II carcinoma of the endometrium: a Gynecologic Oncology Group study. Gynecologic Oncology 40: 55-65. Creutzberg CL (2005) Lymphadenectomy in apparent early-stage endometrial carcinoma: do numbers count? Journal of Clinical Oncology 23: 3653-3655. Kehoe SM, Miller DS (2011) The role of lymphadenectomy in endometrial cancer. Clinical Obstetrics and Gynecology 54: 235-244. Creasman WT, Morrow CP, Bundy B, Homesley HD, Graham J, et al. (1987) Surgical pathologic spread patterns of endometrial cancer. A Gynecologic Oncology Group Study Cancer 60: 2035-2041. Kirby TO, Leath CA, Kilgore LC (2006) Surgical staging in endometrial cancer. Oncology 20: 45-50. Kornblith AB, Huang HQ, Walker JL, Spirtos NM, Rotmensch J, et al. (2009) Quality of life of patients with endometrial cancer undergoing laparoscopic international federation of gynecology and obstetrics staging compared with laparotomy: a Gynecologic Oncology Group study. Journal of Clinical Oncology 27: 5337-5342. Palomba S, Falbo A, Russo T, Zullo F (2009) Updating of a recent meta-analysis of randomized controlled trials to assess the safety and the efficacy of the laparoscopic surgery for treating early stage endometrial cancer. Gynecologic oncology 114: 135-136. Vandenput I, Amant F, Moerman P (2011) Clinicopathologic Study in Uterine Cancer. Facts, views & vision in Obstetrics & Gynecology 3: 189. Lambrou NC, Gómez-Mari´n O, Mirhashemi R, Beach H, Salom E, et al. (2004) Optimal surgical cytoreduction in patients with Stage III and Stage IV endometrial carcinoma: a study of morbidity and survival. Gynecologic oncology 93: 653-658. Shih K, Yun E, Gardner G, Barakat R, Chi D, Leitao M (2011) Surgical cytoreduction in stage IV endometrioid endometrial carcinoma. Gynecologic oncology 122: 608-611. Voinea B (2013) Diagnosis and Therapeutic Problems in Endometrial Cancer. Liver 10: 23. Panici PB, Basile S, Maneschi F, Lissoni AA, Signorelli M, et al. (2008) Systematic pelvic lymphadenectomy vs no lymphadenectomy in early-stage endometrial carcinoma: randomized clinical trial. Journal of the National Cancer Institute 100: 1707-1716. Bristow R, Zahurak M, Alexander C, Zellars R, Montz F (2003) FIGO stage IIIC endometrial carcinoma: resection of macroscopic nodal disease and other determinants of survival. International Journal of Gynecological Cancer 13: 664-672. NCCN (2014) NCCN clinical practice guidelines in oncology: Uterine neoplasms. Zhang Y, Wang J (2010) Controversies in the Management of Endometrial Carcinoma. Obstetrics and Gynecology International. Shah MM, Wright JD (2011) Management of endometrial cancer in young women. ClinObstetGynecol 54: 219-225. Ushijima K, Yahata H, Yoshikawa H (2007) Multicenter phase II study of fertility-sparing treatment with medroxyprogesterone acetate for endometrial carcinoma and atypical hyperplasia in young women. J ClinOncol 25: 2798–2803. Wright JD, Buck AM, Shah M (2009) Safety of ovarian preservation in premenopausal women with endometrial cancer. J ClinOncol 27: 1214–1219. Alonso S, Castellanos T, Lapuente F, Chiva L (2015) Hysteroscopic surgery for conservative management in endometrial cancer: a review of the literature 9: 505. Mazzon I, Corrado G, Morricone D, Ferrandina G, Scambia G (2010) Conservative surgical management of stage IA endometrial carcinoma for fertility preservation. FertilSteril 93: 1286-1289. Thigpen JT, Brady MF, Alvarez RD, Adelson MD, Homesley HD, et al. (1999) Oral medroxyprogesterone acetate in the treatment of advanced or recurrent endometrial carcinoma: a dose-response study by the Gynecologic Oncology Group. 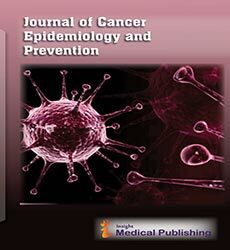 Journal of Clinical Oncology 17: 1736-1739. Decruze S, Green J (2007) Hormone therapy in advanced and recurrent endometrial cancer: a systematic review. International Journal of Gynecological Cancer 17: 964-978. Djordjevic B, Westin S, Broaddus RR (2012) Application of immunohistochemistry and molecular diagnostics to clinically relevant problems in endometrial cancer. Surgical Pathology Clinics 5: 859-878. Gotlieb WH, Beiner ME, Shalmon B (2003) Outcome of fertility-sparing treatment with progestins in young patients with endometrial cancer ObstetGynecol 102: 718–725. Ramirez PT, Frumovitz M, Bodurka DC (2004) Hormonal therapy for the management of grade 1 endometrial adenocarcinoma: a literature review GynecolOncol 95: 133–138. Ebina Y, Hareyama H, Sakuragh N, Yamamoto R, Furuya M, et al. (1996) Peritoneal cytology and its prognostic value in endometrial carcinoma. International Surgery 82: 244-248. Kasamatsu T, Onda T, Katsumata N, Sawada M, Yamada T, et al. (2003) Prognostic significance of positive peritoneal cytology in endometrial carcinoma confined to the uterus. British Journal of Cancer 88: 245-250. Fadare O, Mariappan MR, Hileeto D, Wang S, Mcalpine JN, et al. (2005) Upstaging based solely on positive peritoneal washing does not affect outcome in endometrial cancer. Modern Pathology 18: 673-680. Santala M, Talvensaari MA, Kauppila A (2002) Peritoneal cytology and preoperative serum CA 125 level are important prognostic indicators of overall survival in advanced endometrial cancer. Anticancer res 23: 3097-3103. Cooke EW, Pappas L, Gaffney DK (2011) Does the revised International Federation of Gynecology and Obstetrics staging system for endometrial cancer lead to increased discrimination in patient outcomes?. Cancer 117: 4231-4237.